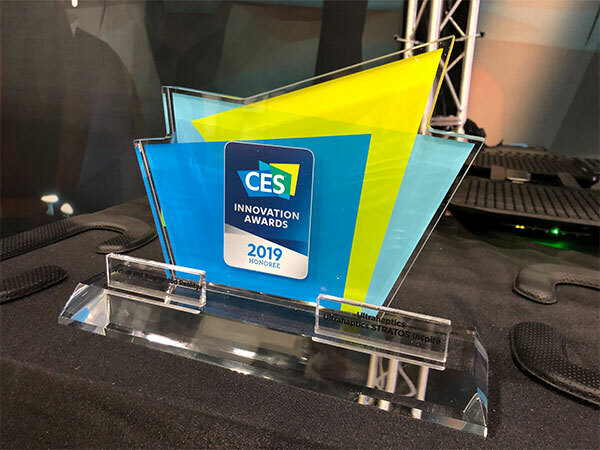 Robert Blenkinsopp is recovering from post-CES jetlag by admiring a shiny CES 2019 Innovation Honoree Award sat in the Ultrahaptics office. 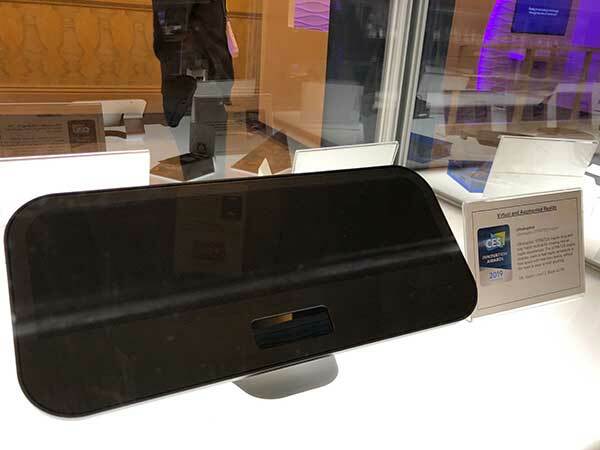 If CES 2018 was a coming-out party for haptic technology, 2019 was the year when we all grew up and got serious. 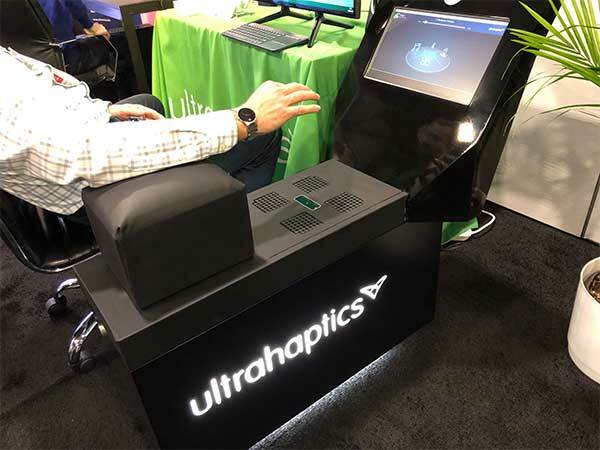 From multiple haptic technologies – including Ultrahaptics’ STRATOS Inspire – winning Innovation Awards to Arrow’s integration of mid-air haptics into their visitor experience, haptics everywhere was moving from development to production. Read on to find out some of the reasons Popular Science named haptics one of the buzzwords of the show. “The number of implementations are near-endless,” wrote Make Use Of about Ultrahaptics’ technology. (They also named us as one of the 10 coolest new products of CES 2019.) Haptic technologies are pervasive, and there’s a huge and ever-growing list of use-cases. The room-scale multi-player Crystal Cave VR experience used multiple haptic modules to create an immersive magical environment. Visitors collected and channelled magic using their bare hands – and felt extraordinary tactile sensations as they did. 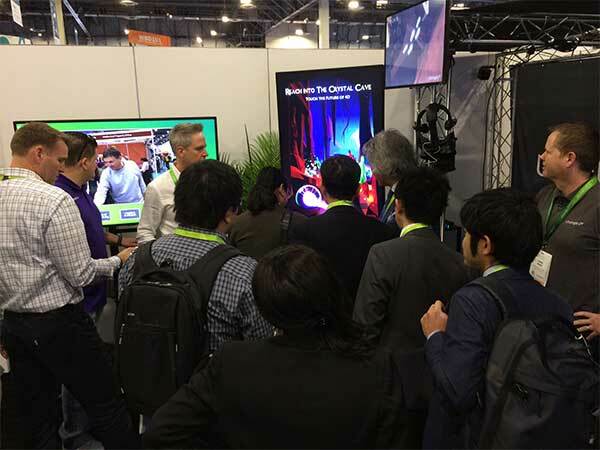 It may be the final day of #CES2019, but there is still time to experience horror #haptics! 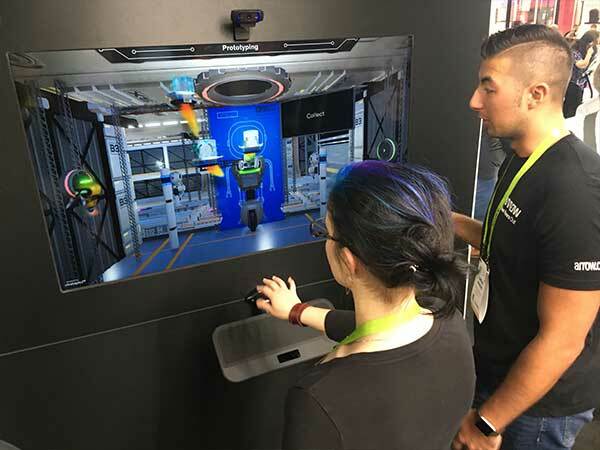 Over on the Arrow stand, mid-air haptics were used not just in a product demonstration but as an integral part of the company’s Create | Make | Manage CES marketing campaign. 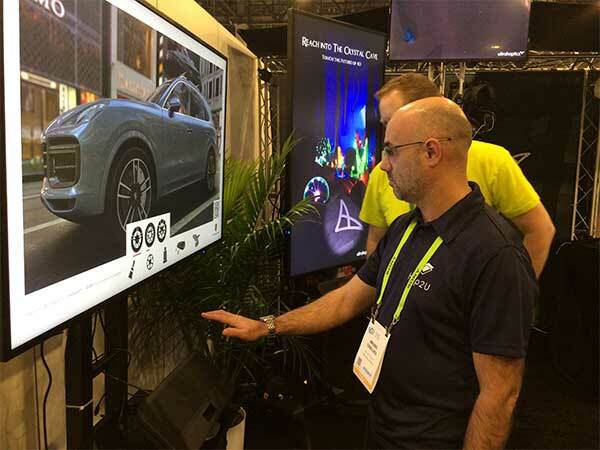 The campaign combined digital signage screens with gesture tracking and mid-air haptic effects to create an engaging and interactive brand experience – an approach also used by Zerolight and Porsche in their interactive car configurator demo for large-format signage displays. Elsewhere, fellow haptics company Teslasuit also won an Innovation Honoree Award for its haptic suit, Continental won one for their 3D touchscreen surfaces, and HaptX were showing off their latest gloves (not to mention visiting the Ultrahaptics stand). Last but not least, everyone seemed to be talking about Razer’s Hypersense haptic gaming chair. As the haptic products at this year’s CES hit the market over the next few, they’re going to change the way we interact forever. Our sense of touch has unique strengths that cannot be replicated by any other sense, and haptic feedback is nothing more or less than an entirely new way for humans and machines to communicate. In ten years’ time, the children growing up today won’t be able to believe we once interacted with machines using only audio-visual technology. If you’d like to join the journey changing the future of interaction, sign up to our newsletter or feel free to contact us at any time. Robert Blenkinsopp is Ultrahaptics’ employee #1. As VP Product, he explores and develops new forms of interaction enabled by mid-air haptic technology. He can be contacted here.